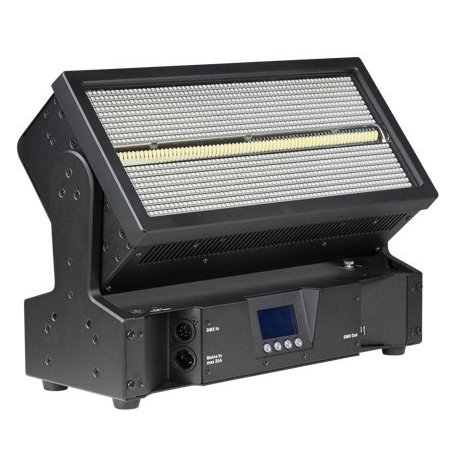 The JDC1 contains a traditional single tube element with a clear, bright white output and combines that with a surrounding full face of RGB LED power, utilizing 1,440 high-quality LEDs. These two elements have independent control and can be used as separate pieces, or combined to make other effects. The JDC1 also features dynamic movement with a 16 bit, 185° tilt range.